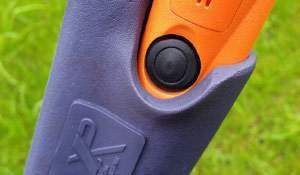 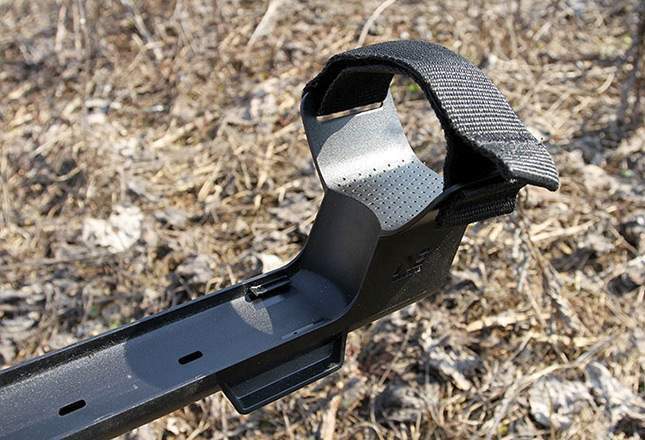 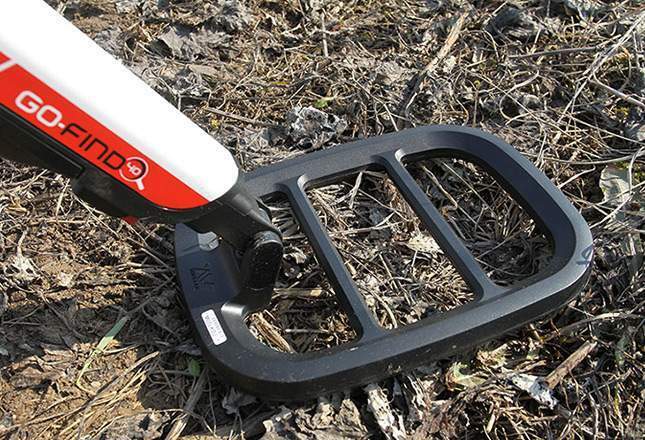 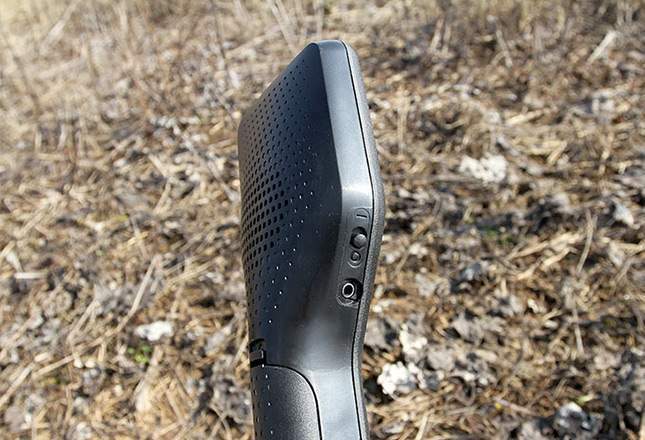 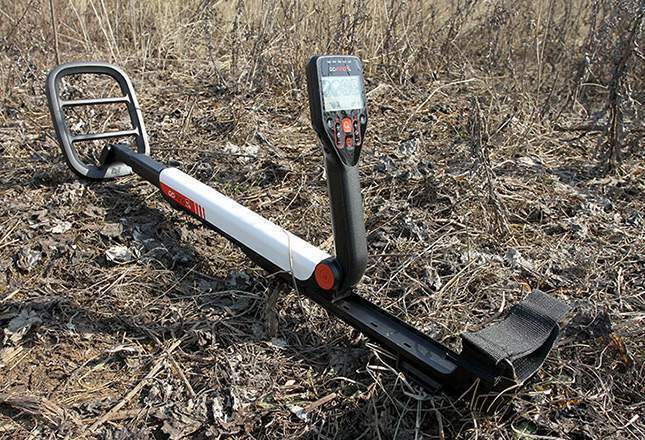 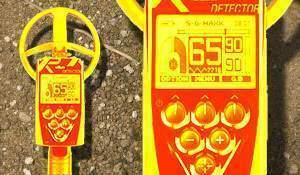 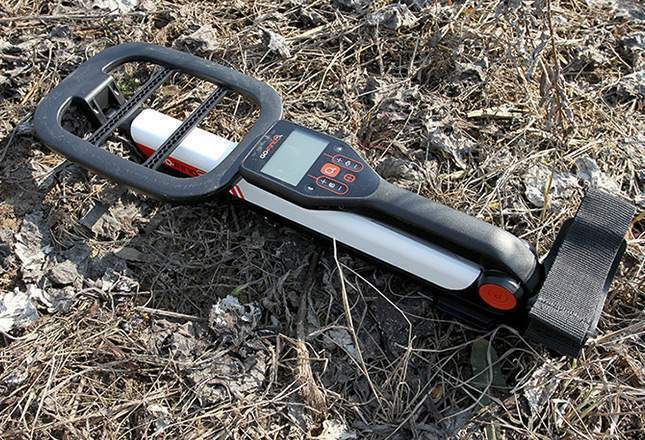 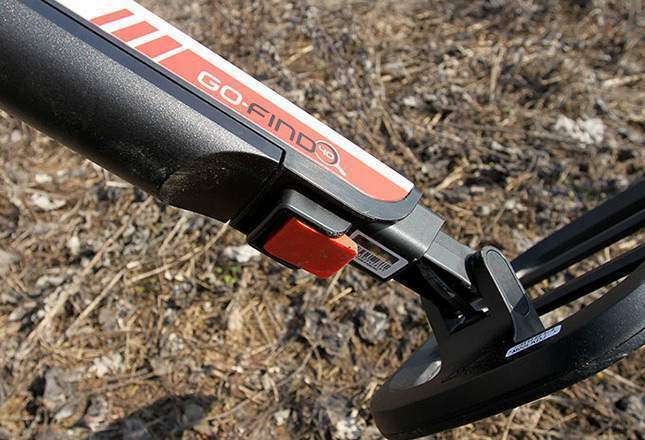 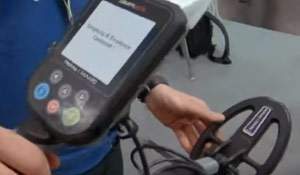 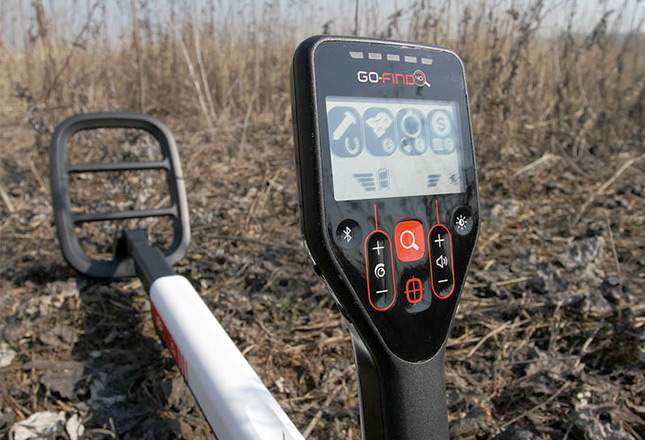 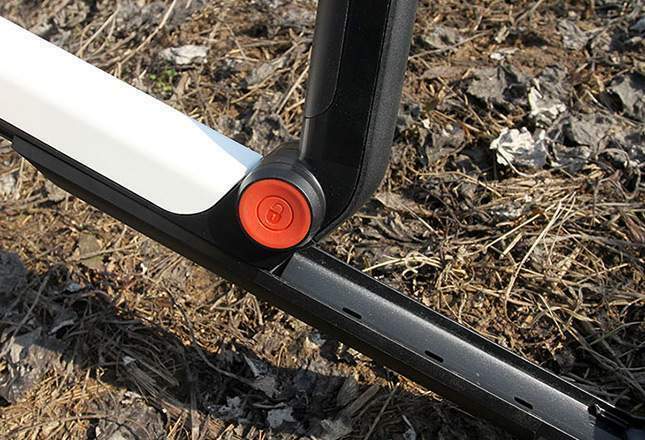 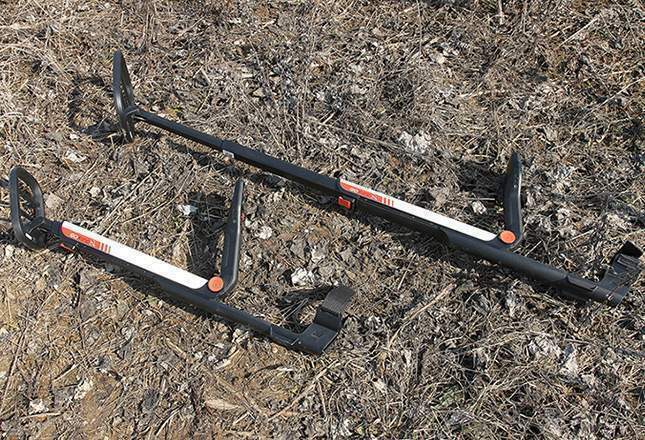 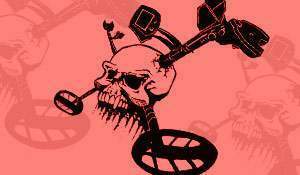 Continue viewing the details of new Minelab Go-Find metal detector series. 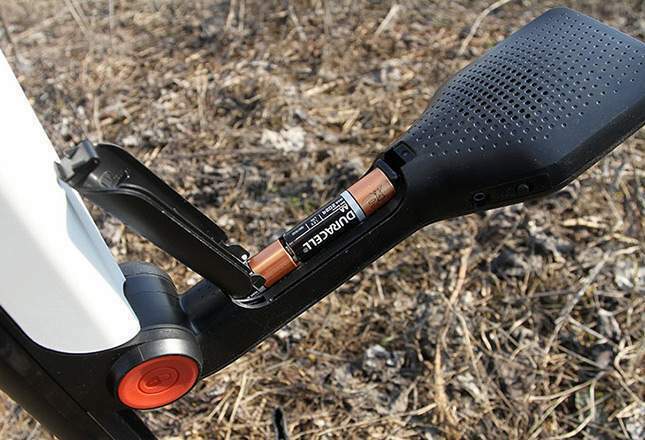 Here: non-demountable, square coil, diminutive armrest. 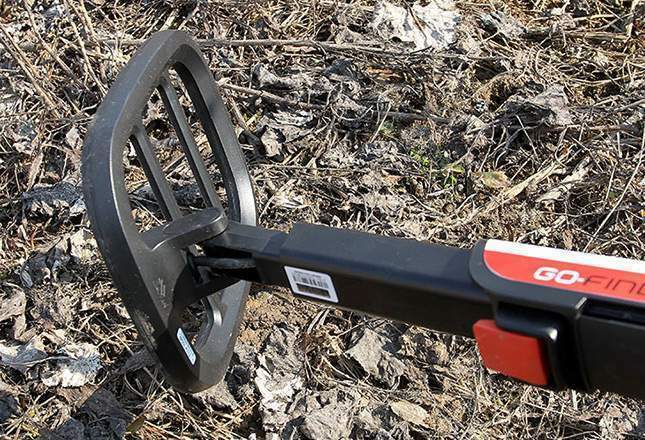 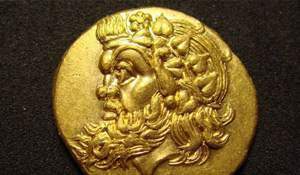 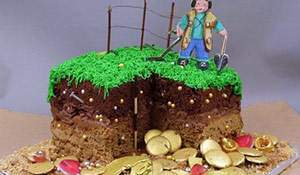 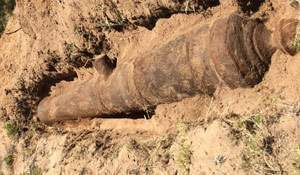 See the Minelab Go-Find 40 review. 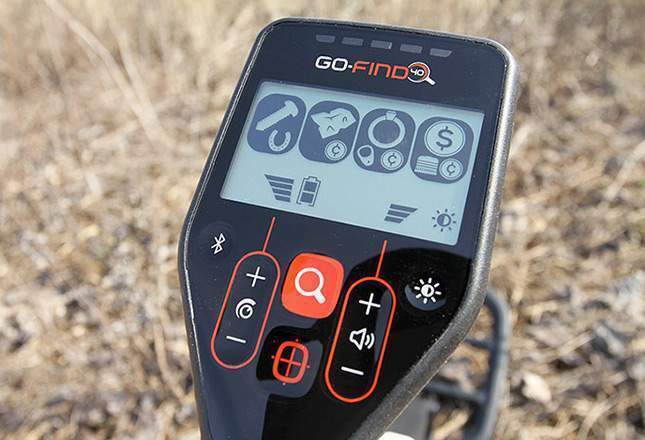 Previous photo review of the Minelab Go-Find 20.